When a handful of journalists were recently treated to a tour around the Marvel offices this week, a variety of props and artwork were put on display for them. Among what those lucky few got to see was a fresh piece of concept art from Thor: Ragnarok, and we now have it for you down below in all its glory. 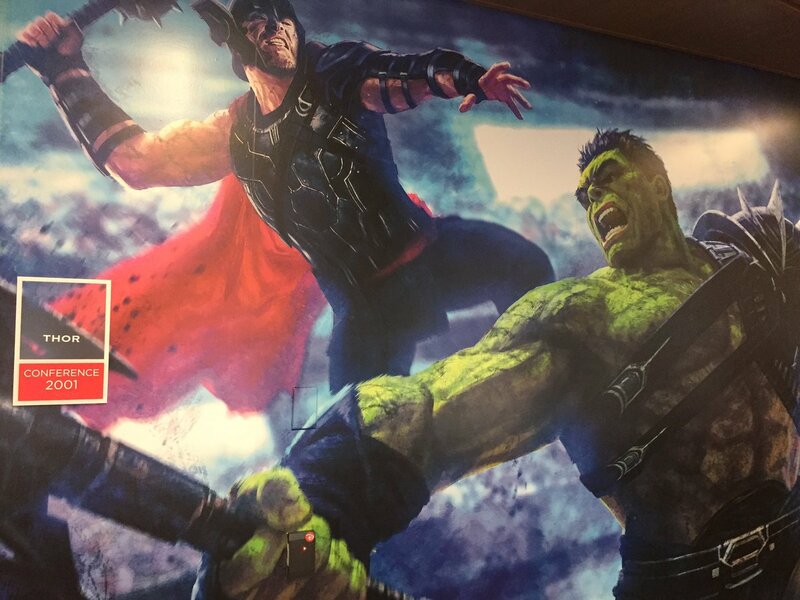 It was in the first trailer for the film that we got to witness the God of Thunder going toe to toe with the Hulk in the Grandmaster’s gladiatorial arena, and this is another incredible shot of the two Avengers members going to war with each other. Well, until they inevitably put their differences aside and end up working together, that is. It’s no secret that comic book fans have been dreaming of seeing a Planet Hulk movie become a reality for years now, but some complicated rights issues mean that a solo outing for the Green Goliath is unlikely to ever happen. That’s why the story is being slotted into the God of Thunder’s third solo outing and so far, it’s looking to be a pretty solid fit. In fact, the upcoming threequel seems like it stands a good chance at being one of 2017’s best comic book movies and after that first trailer, we can’t wait to see what’s in store for us. Thor: Ragnarok is set to be released this November, but a whole lot more from the blockbuster will no doubt find its way online before then. If one thing’s for certain, it’s that if the fight between these two larger than life characters is half as epic in the film as it’s been in what we’ve seen so far, then we’re definitely in for a treat.